Every year around Christmastime I get the itch to paint holiday-themed things. And every year I run out of time for lack of planning and foresight. So, last Christmas I started planning for this Christmas. I paid attention to every product, every card, cute package design, creative ideas from other artists, and made endless lists of ideas. Then, in January of this year, I filtered through my list and decided to start collecting samples of products I wanted to paint. I tracked down, after weeks of research, a wholesale ceramic store, set up an account and started ordering samples. I think my husband thought I was crazy when the boxes of ceramic ornaments, Easter eggs, and trinket trays started arriving in our breezeway mid-February. I held a few small Easter egg painting classes here in my studio with a handful of close friends, and they all seemed to love these new products as much as I did! 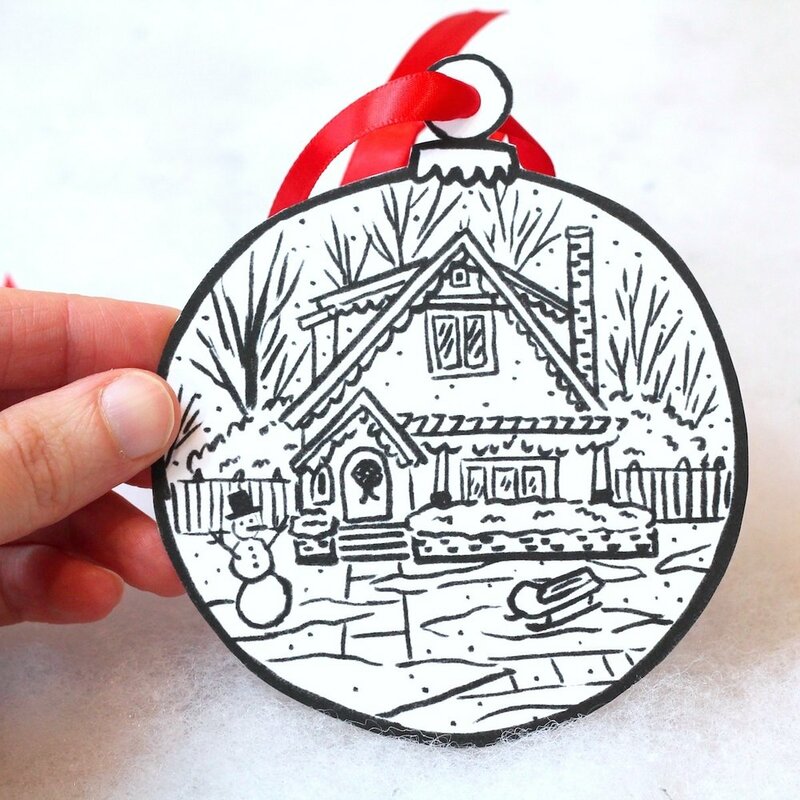 I have a few painting classes scheduled for Fall/Winter (which I'll share more about when the time comes), but what I wanted to show you today is the first Christmas product I'm releasing: Custom Home Portrait ornaments! A few days ago I posted a photo on social media of the finished ornament, and people have been requesting them for pre-sale like crazy! So, I went ahead and set up a limited number of pre-sale ornaments for purchase today. I'll stop taking new orders on these after these first 20 and will reopen the listing once the first round of ornaments are finished. There are so many more Christmas-themed ideas I have for this year, but since it's only July, we'll start here. :) To keep up to date on my Wait List times and new products, please sign up for my newsletter here.